The Blue Note jazz series has become an object of fascination for jazz collectors and aficionados alike. Much like the classical RCA Living Stereo series, it represents a unique marriage of great artists and a stellar recording engineer—in this case the legendary Rudy Van Gelder. “Goin’ to Rudy’s,” was what jazz musicians told each other when they were headed to his home for a recording session. Alas, the Van Gelder domicile in Englewood Cliffs, New Jersey, has been demolished according to Garden State denizen Michael Fremer (why didn’t it become a state historical landmark?) but Rudy’s legacy lives on in the form of the albums. Collectors have driven the prices of the originals to stratospheric heights, particularly the 1500 series releases, which were recorded in mono, but reissues continue to emanate from the vaults. No one has toiled more assiduously in the vinyl vineyards than Ron Rambach of Music Matters. Rambach, together with Kevin Gray of Cohearent Audio, has devoted many years to reissuing the greatest Blue Note albums. There’s never been any sonic hanky-panky at Music Matters—the dynamic duo of Rambach and Gray have always used the original mastertapes, and not some meretricious digital files to cut their precious vinyl. Now Rambach and Gray have reached the summit of their endeavors. Unbeknownst to me, Rambach had decided to reissue a select number of albums—12 in all—on SRX vinyl, which is said to be a compound that omits carbon from the vinyl pressing process to produce a much quieter surface. The LPs are pressed at Record Technologies, Inc. and the set costs a cool $699.95 but the results are nothing short of miraculous. 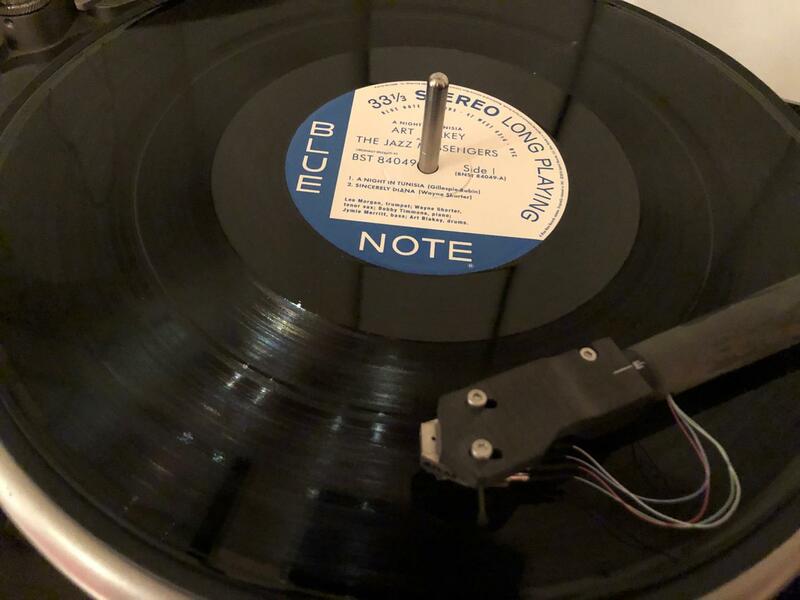 The 1500 series Blue Notes can sometimes have a dry quality—or at least I thought they did until I listened to the package of albums that arrived the other day courtesy of Rambach. What the latest reissues have in common isn’t simply greater silence, but a silkiness that endows the notes with a rounder, more palpable sound. On the Lou Donaldson Blue Note 1593 album, it was fascinating to listen to Ray Barretto’s conga—you could hear the skin of the drum as it was being slapped with a real 3-D sound. Even though it’s a mono, you could also clearly discern that the drums, played by Dave Bailey, were set further back in the hall from the congas. As a result of all the silence the SRX compound imparted, I could also hear the congas resounding for what seemed to be about 20 feet into the recording studio. For the first time, you could clearly follow the bass line, which is often rather evanescent on the original albums, as Van Gelder tended to place a premium on capturing the bore of the trumpet or saxophone. Then there was Art Blakey and the Jazz Messengers’ famous album A Night in Tunisia, pictured above. Lee Morgan’s trumpet has never sounded so feathery and burnished as it does here. Once again, each pluck of the bass was fully audible. For anyone who loves these albums, this new series provides an essential window into immortal performances from yesteryear.